Demolition & Excavation Chicagoland, IL | Home | McHenry Excavating, Inc. Welcome to McHenry Excavating, Inc.
As the Chicagoland area’s demolition and excavation experts since 2006, McHenry Excavating, Inc. is a family-owned and -operated company specializing in residential, commercial and industrial services. Serving McHenry, Lake, DuPage and Cook Counties alike, we’re also highly skilled in grading, dredging, hauling, trenching and concrete removal services. No job is too challenging for our experienced crew. Whether you have a short project timeline or a small budget to work with, give us a call to see what we can do for you. 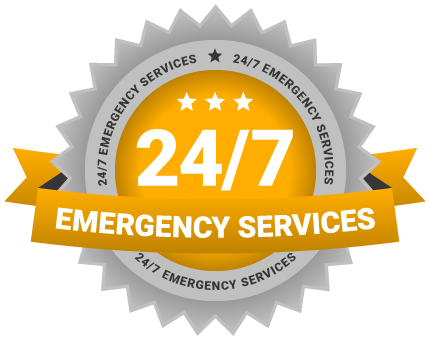 We take great pride in providing outstanding customer service and support and have the expertise, professionalism, and experience necessary to complete every job safely and efficiently. Because we understand that no two projects are ever the same, we make it our mission to identify your every need to precisely execute your projects to your complete satisfaction. From your project’s conception to its completion, we’re there for you every step of the way! No matter how large or small, you can rest assured that you’re always in good hands when you choose McHenry Excavating, Inc. to handle your project. Why Choose McHenry Excavating, Inc.? On behalf of the First Congressional Church of Huntley and the congregation, I want to express my sincere gratitude and appreciation for your contribution to the apartment building demolition project at our church. Your personal commitment was incredibly helpful and allowed us to quickly reach our goal of the building demolition and eventual construction of a parking area. The demolition was necessary to put our plans into action and your swift response is greatly appreciated. We received many compliments from the community on the impressive work by your crews. Your involvement in this project means so much to our church. Again, thanks so much for all you've done for the First Congressional Church of Huntley. Thank you from all of us. We cannot express enough how pleased we were with the work of McHenry Heating and Excavating with reference to the swimming pool removal project at our home. You said what you would do and you did what you said. The job was done efficiently, effectively, professionally, neatly, within budget and on time. Each of your employees was a pleasure to have on site and demonstrated they were well-trained and skilled. We thank you for the way your company handled our project and would be more than happy to serve as a reference for anyone thinking about engaging McHenry Heating and Excavating. Thank you for the quality work that McHenry Excavating performed in the demolition of the old parsonage at St. Matthew's. From the beginning of the project, we appreciated your flexibility in scheduling with our preschool operation. Additionally your patience and positive attitude with the challenges of uncovering 116 years of site work provided a sense of calm for us. You and your team, Steve, Dean, and Tim were professional, informative and friendly. Bili and I highly recommend your services. Thank you and may God bless your work.